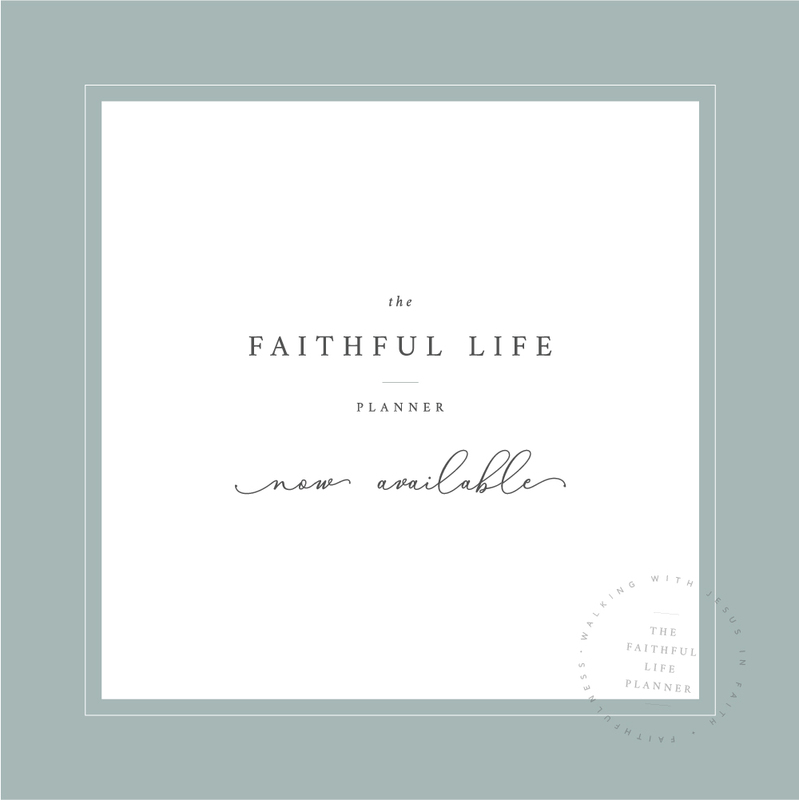 * Our 2019 Faithful Life Planner is officially sold out. Don't miss out next year! Want to start your day with God and plan your day according to His leading? The Faithful Life Planner combines a quiet time journal + a weekly planner into ONE resource to help you live the life God has planned for you. With purposeful pauses and intentional prompts built right into the planner AND the tools you need to keep track of your day-to-day lists and schedules, the Faithful Life Planner is about to become your new favorite resource. The Faithful Life Planner is a devotional planner, weekly agenda, and to-do list all wrapped up into one weekly planner for the woman who wants to trade her plans for God's. The Faithful Life Planner will help you slow down and create space in your life to be in the Word, grow in prayer, and really focus on the things that matter. Intentional Planning :: Pray, plan, and gain perspective for the days ahead using our monthly and weekly perspective pages. Extra notes pageswith a faint dot grid for doodling, prayer, planning, lists, or however you prefer to use this space. Every Faithful Life Planner is carefully crafted by hand. Throughout the year you can expect natural wear on your planner including discoloration or flaking on the gold foil. This is part of the normal wear of a printed, handcrafted, gold foil product. We understand that committing to a planner is a big decision, and we want you to feel confident with your purchase. Please take the time to review all our photos and videos in detail, as well as to confirm that the size and dimensions will suit your needs. All planner sales, unless damaged or defective, are final. No cancellations, returns or exchanges can be accepted. Quality control is extremely important to us, so while extremely rare, if your planner arrives damaged or defective in any way, please contact us at erika@faithfulmoms.org by January 5 so that we can take care of it. UPDATE :: Any orders placed after Friday, December 21, will ship on Thursday, December 27. Each Faithful Life Planner is carefully wrapped in bubble wrap and placed in a cardboard shipping box to limit damage in shipping. Packages are typically shipped via USPS or UPS. As soon as your shipment is in the hands of a postal carrier, we are no longer in control. We will e-mail you a tracking number, to watch for your package but UPS / USPS does not provide us with different information than they provide you through the tracking number. We donate 10% of all profit to Compassion International, whose mission is to release children from poverty in Jesus' name.